Start by following Trevor Noah. “I shied away from any type of photograph ... because I thought I was hideous, because in my eyes I was. I had giant nodules on my face, around my neck, and the puss would ooze out of them. I had to go on medication repeatedly and the medication makes you suicidal and depressed and then you have to go off it because of your kidneys. It was just such a trying time. We’d love your help. 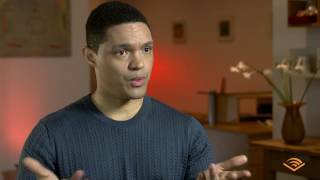 Let us know what’s wrong with this preview of It's Trevor Noah by Trevor Noah.